Often clients are keen to create a kitchen that combines both style, detail and precision, and this can lead to a shaker style kitchens. Investing a healthy budget into kitchen renovation means you will have a kitchen that will last for many years as it will be built with high-quality material and fit naturally into your lifestyle. A shaker style kitchen can be found in and among contemporary styles where the old meet the new. 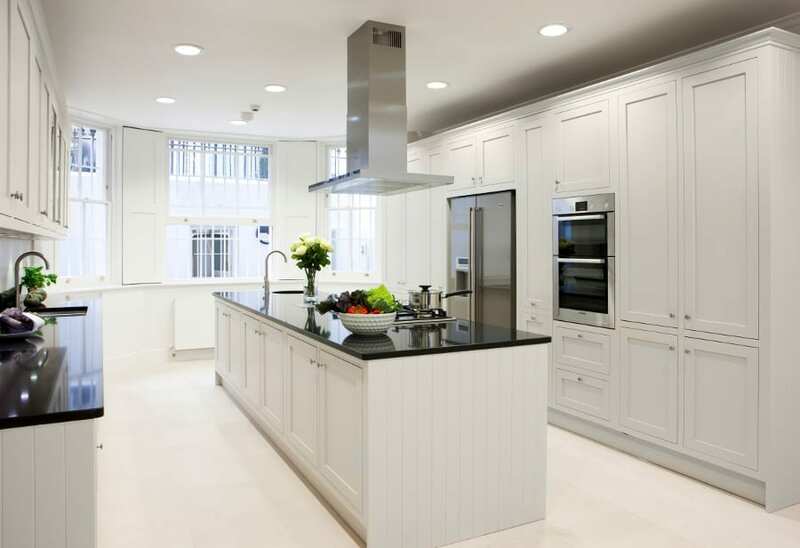 Using our Holland Park kitchen renovation project as a frame of reference we will run through key areas of consideration if you wish to effectively introduce this style of the kitchen into your space. Firstly, your kitchen must offer an adequate amount of space for this style to stand out and make the right impact. This style works best when you have enough space to achieve a statement look. For this particular project, we introduced a kitchen island to bring this look together. 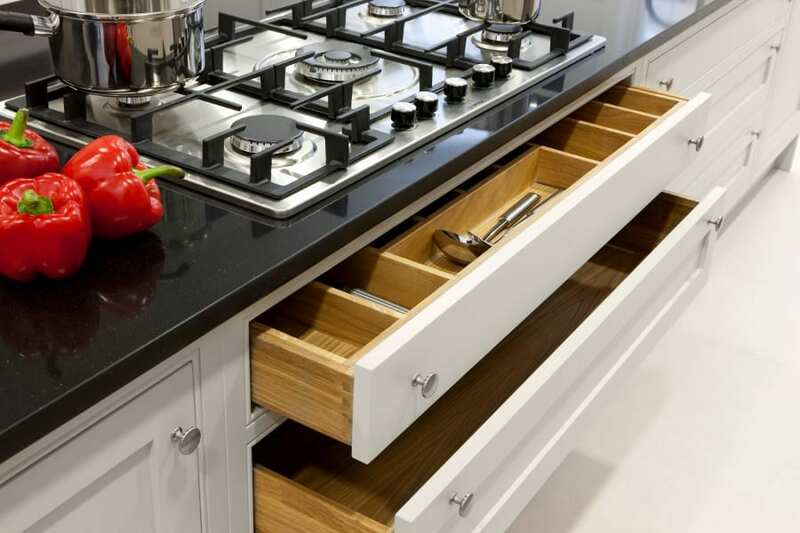 A healthy variety of finishes for the kitchen cupboards is a great way to add interest to the arrangement and layout of your space – the more finishes you have the most aesthetically appealing the kitchen will look. For this project, a white shaker style was used to bounce the natural light off of the cabinetry surface to create the illusion of more space. Including contrasting materials give this look a bold presence and opting for solid wood for the interior creates a timeless appeal and feels like a luxurious touch. 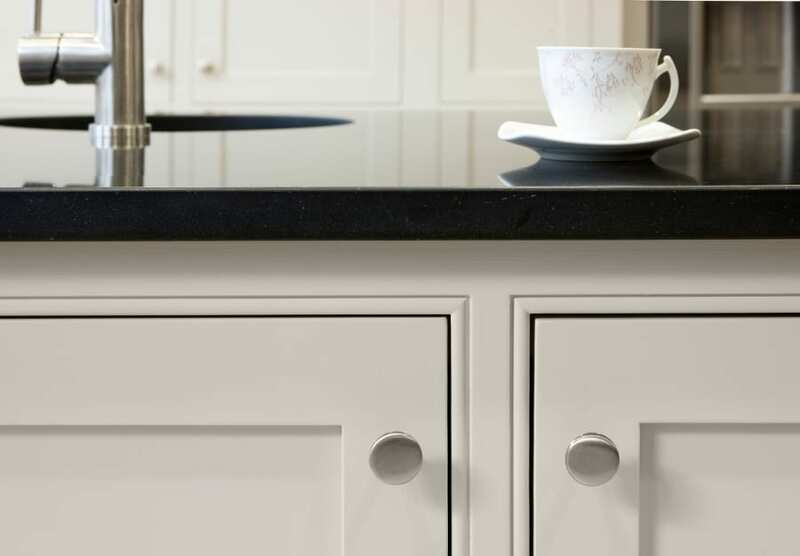 This style works best when you use a contrasting colour for the worktop, as it allows the cabinetry to stand out. For this project, the black and white combination a good example of how opposite colours can make this style stand out. Overall, a contemporary and classic look can be achieved with a simple shaker style. Combine the look with classic materials, a trendy colour palette, and metallic fixtures. If you think a shaker style would be a great addition to your household in your household then bring your vision to life in our showroom. Get in touch with our one of our team for a complimentary consultation here.